THE STORY - William Foster is a brilliant neuroscientist who loses his wife, son and two daughters in a tragic car accident. Utilizing cutting-edge technology, William comes up with a daring and unprecedented plan to download their memories and clone their bodies. As the experiment begins to spiral out of control, Foster soon finds himself at odds with his dubious boss, a reluctant accomplice, a police task force and the physical laws of science. THE GOOD - Keanu Reeves is as good as ever lately, thus making it hard not enjoy a movie that he is the star of. The story starts off at an interesting pace that at first has the ability to keep you intrigued. THE BAD - Unfortunately, the interest factor takes a rather steep dive incredibly quickly. The story gets muddy, the acting is campy, the action feels inauthentic, and design wise, the film is incredibly bland. ​​​​​While "Replicas" starts off as an interesting science fiction story, it quickly loses momentum after the first 30 minutes. It starts off on such a big note that you almost feel immediately hooked in and you begin to think to yourself, "maybe this movie won't be that bad." While it isn't absolute garbage like another film I saw earlier this month, it just never can fully find its footing. In terms of craft, "Replicas" is rather bland. The cinematography, editing, and score are all rather cliched tropes of the genre which just adds more blocks to this game of disappointing Jenga. With a better script, "Replicas" could have easily been a really exciting sci-fi release but sadly it just joins the club of the many not-so-great January releases. 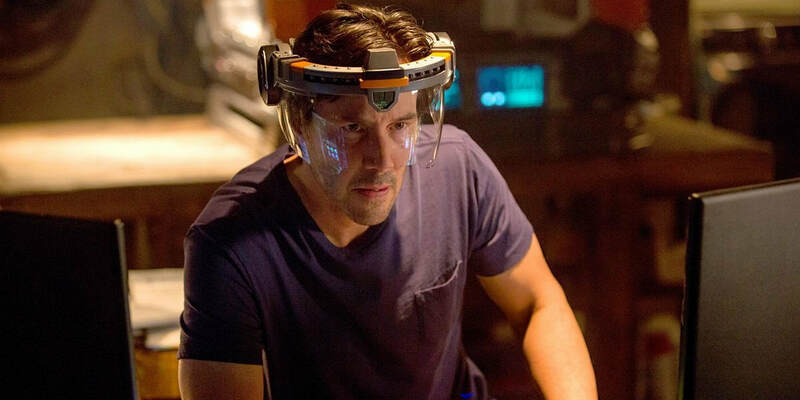 After a brutal car accident involving himself and his family, a scientist named Will Foster (Keanu Reeves) is devastated. In a desperate attempt to get his family back into his life he performs an incredibly complex and dangerous experiment. He is able to bring each of them back from the dead. Foster and his family return to their lives and begin to rebuild. But the lab from which Foster stole the equipment used in his families resurrection, has different feelings about Foster's experiment. At first, the film starts off on a pretty high note. The base of the story is something that we have not necessarily seen yet. The idea of someone losing their family and then bringing them back through science is intriguing enough to hold our attention. A modern-day Frankenstein of sorts is the kind of approach the film seems to be shooting for in the first 30 minutes or so. That direction would have been a much better one than the path the filmmakers actually decided to go with. If the film would have been more about the idea of toying with mortality and how that would affect the world around our characters, it could have been a more wholly satisfying experience. It instead takes a bit more of an action orientated route and positions it so that the government gets heavily involved in the plot. The government thinks that Foster's re-creation of his family should belong to them since he stole their equipment to perform the experiment. While this could be an interesting course of action as well, the film does not act on it and help it realize its full potential. It begins to fall into some science-fiction tropes and cliches that weaken everything else around it. The dialogue becomes nothing but pure exposition and cheesy lines. Characters talk to one another almost as if this was a TV movie in the '70s. It just feels forced and unnatural which is just the first of the film's problems. Design wise, the film is crafted rather predictably. A lot of the science, experiment scenes are filled with chrome and lots of blues on the screen. The score is beat for beat what you would expect from a film that is as simple as this as well. The film also fails to offer up any real stakes or emotion. While the government is threatening to take away Foster's family, we don't feel that danger. Even during the more action-heavy scenes, there is no real tension in the film whatsoever. It starts off in a full sprint but just comes to a screeching halt before the first act is even over. It leaves a disappointing feeling in your heart and a desire for something greater. "Replicas" is by no means garbage, but it isn't necessarily competent either. It just is kind of there, floating in space, offering up nothing new to the genre. But on the other hand, there is a brief period of time where the film has a little bit of steam and is entertaining. Plus, Keanu Reeves is always a draw and a pleasure to watch no matter what he is in, making the film not completely unbearable. "Replicas" is worth skipping at the theater for the most part but would make a fun film to rent digitally and have some popcorn to just relax for a nice hour and a half should you choose to do so in the future.